Today, users mostly rely on mobile devices for the majority of their online activities like shopping and keeping in touch with friends and family. Last year it was reported that mobile web usage overtook desktop for the first time, and that looks set to continue its dominance. Google is also soon shifting to a mobile first index meaning that any sites which are not responsive will be ranked lower on Google. This is by far the most important solution to make sure you rank well on mobile first index. The design across sites will change depending on the device you are using. 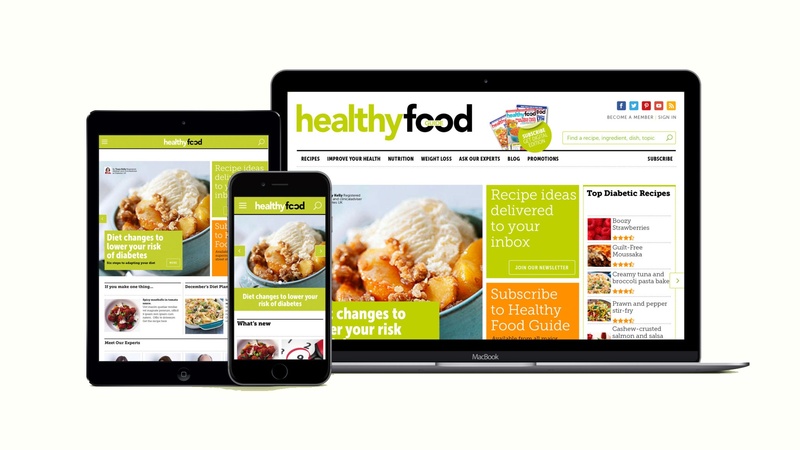 Click here to find out how Healthy Food Guide (UK’s food industry leader) increased their traffic by over 250% with a responsive website. You should also be aware that a responsive site is not the same as a mobile friendly site and there is a great article on this by Atomic74. If you have a mobile friendly site and a separate desktop site, you will experience duplicate content which can also decrease your Google SEO rank. Responsive design makes websites easier to read and navigate leading to an overall better user experience. The user doesn’t need to zoom in or out which alone is a good enough reason why Google have decided to implement mobile first index in the next coming months. Mobile friendliness as well as improved user experience (UX) is essential to increase your Google SEO rank. It is a well known factor that site speed can drastically decrease your SEO Google rankings. If you have a responsive design it will no longer require a redirection of queries to a certain URL leading to a faster load speed. Infact, did you know that the average time to fully load a mobile landing page is 22 seconds? That’s a considerably long wait especially if 53% of visitors abandon a mobile site that takes longer than 3 seconds to load. Tweet this! A bounce rate is when a user leaves your site less than 1 second just after having entered it. This can happen either because the user doesn’t find your content relevant or simply because the design doesn’t match their expectations. You should keep the bounce rate as low as possible so that search engines trust your site to be relevant and well designed, as they pay close attention to user behaviour. Having a responsive site allows you to not only publish relevant content but also content that is mobile friendly with a clean design. Google algorithms are able to crawl duplicate content across sites and this can especially harm your SEO rankings as they are not able to determine original content from copied content. If you have a separate mobile site you are putting your SEO Google rankings at risk. 90% of time is spent in mobile apps, and majority of those are in social platforms i.e. Facebook, Twitter, Instagram and Linkedin. If your content is not responsive across all screen sizes you will have less people sharing it which will impact your business marketing efforts. Increasing your brand awareness through social media should be one of your aims not only to increase your Google SEO rank but also to improve user experience. To learn even more about SEO you may want to check out the below FREE download. Do you have a responsive site but want to improve user experience? Perhaps you have a mobile friendly site, but wish to improve optimisation? Or are you simply looking for ways to improve your Google ranking using quick fixes?